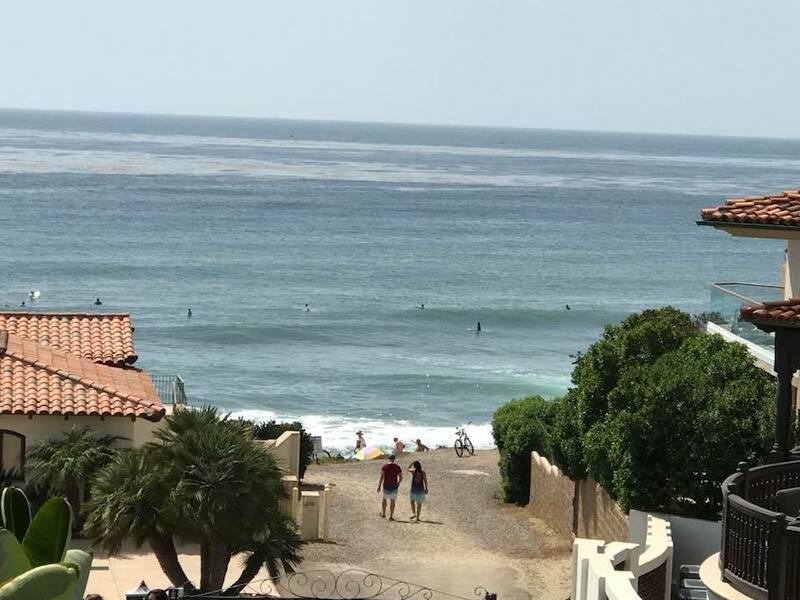 This weekend while visiting San Diego, I hung out at a beach house that had access to the sand just across the street. I walked down the path and found myself on the exact same stretch of beach I’d visited one year ago with co-workers at my former company, when a car dropped us off after someone said let’s go see the water. This is in a densely populated area of La Jolla, not a place I ever went to during my 30 years in California. Absolutely no connection between the events that led me there. What are the odds of finding yourself, utterly randomly, on the same 50 yards of an 800-mile coastline exactly one year later? We went bodysurfing the next day. The waves were strong and breaking close to the shore. One of them got me, and I went tumbling helplessly; it’s a terrifying and humbling feeling. I swam back out and took the waves more seriously and rode them fine after that, but it was a reminder that I’m small and insignificant, and forces are at work that are unimaginably bigger and more powerful than I am. They’re indifferent to me as a person. Or, you know, are they? Why did they bring me back to that exact same little stretch of beach? I knew why, right away: to show me how far I’ve come in the past year. To give me some reassurance that the huge changes I’ve been through are real, and maybe a reminder to be grateful… like a parent might draw a line on the wall for her kid and then stand him up to the wall a year later and say look how you’ve grown. This is a metaphysical universe. The physical is showing us the spiritual, revealing it to us, all the time. But most of the time we don’t have the faintest idea what we’re seeing. And then when you do get a glimpse of those forces, it’s still like me and those waves… understanding them on a visceral level rather than an intellectual level. Watching them build and swell and come at me over and over, learning how to ride them and not get creamed by them. Understanding the subtle differences between the things I have power over and the things I don’t. Sometimes it can seem discouraging to have to learn the same lessons over and over, but a surfer doesn’t look at waves that way. Surfers are the real metaphysicians. They understand that every new wave is an opportunity to try again, and maybe get it right this time.